Launched at the sparqs Conference in March 2017, the Celebrating Achievement publication celebrates the work of sparqs since our last conference in 2015, as well as the successes of the institutions, their students' associations and the students and staff that we work with, in Scotland and across the world. Accompanying the above report is the Celebrating Achievement video, which hears from some of our sector colleagues on the impact of student engagement. 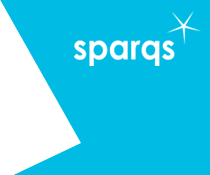 In 2012/13 sparqs undertook research to inform two key reports, one each into the university and college sectors, that aim to track the trends, practice and systems that have developed in student engagement, and highlight some useful case studies from around the country. The reports aimed to celebrate the excellent work that had been done by staff and students, and mark the significant distance that the sector had travelled. The executive summaries were launched at the sparqs Parliamentary reception in December 2012. While we can all claim to support student engagement as a key principle in quality, there are many different interpretations as to what this means. Therefore, in 2011/12 sparqs engaged in a major research exercise to ask staff and students throughout Scotland’s universities and colleges what they thought student engagement meant. The result was five distinct but overlapping elements of student engagement, and six features that underpin it. Published in 2012, the Student Engagement Framework for Scotland provides a basis for interpreting, exploring and developing student engagement practices within institutions, students’ associations and the sector as a whole. Previous major research into student engagement on this scale undertaken by sparqs was in 2005. It is interesting to see the differences in the sector over those seven or eight years, and so for reference you can download both the FE Mapping Report and the HE Mapping Report.